This weekend our country will observe Memorial Day, remembering and honoring the men and women, and their families, who have served our nation and the lives sacrificed for the freedoms we enjoy. I live in a military city with multiple military bases and hospitals. A significant number of the families of our community are either veterans or active duty military. When I meet veterans or see the faces of young soldiers serving bravely in far-flung reaches of our troubled world, I am humbled by the courage of the men and women who pledge their lives for the safety and sake of others. They do not regard life as expendable or to be cheaply sacrificed. In contrast, more than most, they clearly see the incalculable value of life and yet are willing to make the ultimate sacrifice for others. Only the person who would willingly sacrifice their own life has truly realized how precious life really is. Jesus said, “Greater love has no one than this, that he lay down his life for his friends.” John 15:13 NIV. 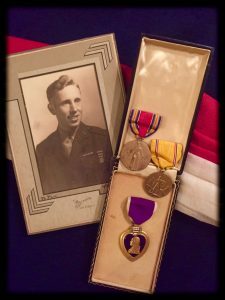 A few months ago, I received treasured, family heirlooms from my cousin – faded news clippings and the Purple Heart my uncle received while serving with the United States Marine Corps in WW II. Like so many young men, my Uncle Ralph was wounded in battle in the Mariana Islands, and after months of recovery was then a casualty in the assault of an enemy island, and was ultimately listed as, “missing in action.” He was my Dad’s older brother. For his sacrifice, he was revered in the Randolph family and his loss impacted my Dad, grandparents, and my uncle and aunt for their lifetimes. I only knew him through his picture as a Marine, displayed in a place of honor in my grandparents’ home. If men and women will sacrifice their lives for freedom, love of country, and the safety of their families, should we who are called by His Name and redeemed by His sacrifice not give our lives in His service and the advance of His Kingdom? Squandering life is wasteful. Sacrificing life for God and others is noble. “I urge you, brothers, in view of God’s mercy, to offer your bodies as living sacrifices, holy and pleasing to God – this is your spiritual act of worship.” Romans 12:1 NIV. Jesus’ call to discipleship remains the same today, “If anyone would come after Me, he must deny himself and take up his cross daily and follow Me. For whoever wants to save his life will lose it, but whoever loses his life for Me will save it. What good is it for a man to gain the whole world, and yet lose or forfeit his very self?” Luke 9:23-25 NIV. Those last words pose a haunting question for every soul. The reward of your sacrifice in His Name by far exceeds the cost. Jesus was clear and His promise certain, “Everyone who has left houses or brothers or sisters or father or mother or children or fields for My sake will receive a hundred times as much and will inherit eternal life.” Matthew 19:29-30 NIV. Jesus issued a monumental challenge that still resonates within hearts where He dwells. Sacrifice means living for something, and Someone, greater than yourself. In Christ’ name, we are all asked to lay down our lives in service to others. This weekend, as you recall the price others paid for your freedom, remember the price the Savior paid for your salvation. Today, I pray for you to value your life as a gift to be given back to God and others. “Be strong in the Lord and in the power of His might . . Therefore, take up the whole armor of God, that you may be able to withstand in the evil day, and having done all, to stand. Stand therefore.” Read Ephesians 6:10-18 NKJV. Strength is developed, not obtained. Strength develops through opposition and is maintained by resistance. The Bible is about ordinary people who are described as, “Out of weakness were made strong, became valiant in battle, turned to flight the armies of the aliens.” Hebrews 11:34 NKJV. People for whom life is easy do not become strong. Challenges, that you face and during which you remain faithful, develop strength. There are differing expressions of strength, such as – physical, emotional, psychological, moral, and spiritual. As individuals, we have differing strengths. Each person may possess multiple strengths of greater or lesser degree. Where do your strengths lie? What strengths do you need to develop? The Bible describes Jesus’ growth and development in this way, “And Jesus grew in wisdom and stature, and in favor with God and men.” Luke 2:52 NIV. Jesus’ development was complete and balanced – intellectually, physically, spiritually, and socially. Jesus is our example. There is an important prerequisite. You must welcome Jesus to dwell in you by means of the Holy Spirit. “That He would grant you, according to the riches of His glory, to be strengthened with might through His Spirit in the inner man.” Read Ephesians 3:16-20 NKJV. 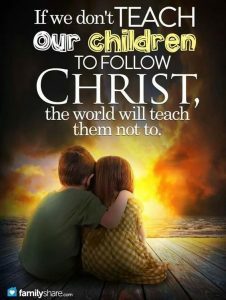 Let me suggest some of where you and I can, and must, learn to be strengthened in Christ. Continue vigilant in prayer. “Continue earnestly in prayer, being vigilant.” Colossians 4:2. Stand fast in faith. “Watch, stand fast in the faith, be brave, be strong.” 1 Corinthians 16:13. Abound in hope. “Abound in hope by the power of the Holy Spirit.” Romans 15:13. Witness to truth. “You will be my witnesses . . to the ends of the earth.” Acts 1:8. Persevere with patience. “You have persevered and have patience.” Revelation 2:3. Crave His righteousness. “Blessed are those who hunger for righteousness.” Matthew 5:6. 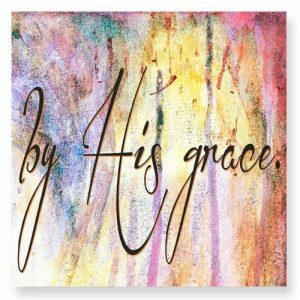 Live in grace. “Be strong in the grace that is in Christ Jesus.” 2 Timothy 2:1. Strengthen courage. “Be of good courage, and He shall strengthen your heart.” Psalm 31:24. Spiritual atrophy results from apathy. Use it or lose it can well be said about spiritual life and growth. Be advised; both physical and spiritual strength grow best when exercised. Atrophy occurs naturally. Atrophy is an interesting word, defined as, “disinterest, degeneration, decline, or decrease, as from disuse.” You have a spiritual adversary who opposes you in every, diabolical way possible. But you are not alone in the battle. Read Deuteronomy 20:4 NIV. Today, I pray for you to be vigorous in your defense of the faith. By His grace, the power of transformation overcomes the pressure of conformity. Conformity is the world’s model. The pressure to conform to current societal norms can seem irresistible. Peer pressure is a powerful, fearsome thing. Through a pervasive culture, the media, movies, music, entertainment, fashion, violence, sexual promiscuity, and alternate lifestyles promote a permissive secularism that is difficult to resist. Being different is rarely applauded. Most people learn to merely blend in with the crowd around them. In fact, the crowd grants their acceptance only to those willing to think like them, look like them, talk like them, dress like them, and ultimately, behave like them. Embracing conformity comes with serious consequences, spiritually, psychologically, and relationally. Ultimately, you are deceived about who you are or who God meant you to be. God made you an original, inimitable. But be advised, your God-given individuality can be eroded until you are more and more indistinguishable from others. That is not how God made you. In all the world that God made, you are divinely unique. Your DNA and fingerprint is identifiably unique from every person who has ever lived. Jesus said, “If you belonged to the world, it would love you as its own. As it is, you do not belong to the world, but I have chosen you out of the world.” John 15:19 NIV. In redemption, you are now uniquely His. My prayer for you is as Paul’s, “That He would grant you, according to the riches of His glory, to be strengthened with might through His Spirit in the inner man.” Ephesians 3:16 NKJV. The Apostle Paul urged, “Do not conform any longer to the pattern of this world, but be transformed by the renewing of your mind. Then you will be able to test and approve what God’s will is – His good, pleasing and perfect will.” Romans 12:2 NIV. Reflect on Paul’s description of God’s will – good, pleasing, and perfect! Let God’s Word fill your mind with truth. “We all, with unveiled face, beholding as in a mirror the glory of the Lord, are being transformed into the same image from glory to glory, just as by the Spirit of the Lord.” 2 Corinthians 3:18 NKJV. By His grace, he power of transformation overcomes the pressure of conformity. When I was a young teen, my Dad shared this wisdom, “Choose wisely the crowd with which you associate, because that crowd will determine who you become.” I was spared a lot of heartache by my Father’s counsel, and probably, so was he. I have observed the wisdom of his Godly counsel from the times I regarded or ignored his advice. As an adult, I choose friendships that exemplify who I want to be, with friends who inspire and challenge me to be better than I would otherwise be. The Bible teaches that we are responsible for one another and accountable to one another. “And let us consider how to provoke one another to love and good deeds.” Hebrews 10:24 NRSV. Isn’t it interesting that a word more normally used negatively is used for such a Godly, positive result? “Therefore encourage one another and build each other up – edify – just as in fact you are doing.” 1 Thessalonians 5:11 NIV. Edification is not a one time occurrence; it is a lifestyle. Today, I pray for you to edify others by personal example and persistent encouragement. 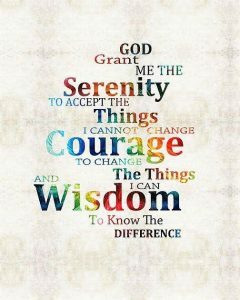 Years earlier, I learned a helpful prayer, “God, grant me the serenity to accept the things I cannot change, courage to change the things that I can, and wisdom to know the difference.” Accept, or change. Worry is the destroyer of serenity, and never a viable option. Apprehension is the implied belief that God either doesn’t care or is unable. Worry adds nothing of value and depletes so much that is helpful and healthful. Admittedly, there are plenty of things that cause worry. Anxious thoughts are the product of majoring on matters you do not control and cannot change. God is in control and He can be trusted to care for the things that concern you. Until and unless you come to peace with that knowledge, you will remain vulnerable to worry and the anxiety that results. Let me suggest some practical things about worry. Worry is unhelpful. Worry does not work. Here is the unpleasant reality, “If you always do what you’ve always done, you will always get what you’ve always gotten.” Worry is wearying to body, soul, and spirit, producing feelings of mental, emotional, and spiritual futility. Worry never solves a problem nor changes a circumstance. It neither changes the past nor controls the future. Logically, if worry doesn’t work, why waste time and energy worrying? Worry is unrealistic. Worry exaggerates any problem. Worry is never in proportion to reality. It takes a minor, but real, concern and makes it major. Worry magnifies a problem, distorts reality, exaggerates emotions, while achieving nothing productive. Worrying about something you cannot change is futile. Worrying about something you can change is stupid; just change it. Either way, don’t worry! Valuable, emotional energy is better expended elsewhere? Worry is unhealthy. Worry distresses you physically. Worry causes ulcers, tension headaches, stomach distress, and insomnia while you continually worry without relief. It makes you both unhappy and unhealthy. The root of the word is, “to strangle, to choke.” That well describes what results. Life and its joy are seriously diminished by anxiety. “Don’t worry about anything; instead, pray about everything. Tell God what you need, and thank Him for all He has done. If you do this, you will experience God’s peace, which is far more wonderful than the human mind can understand.” Philippians 4:6-9 NLT. Worry is unnecessary. Your Heavenly Father cares for you. “Casting all your care upon Him, for He cares for you.” 1 Peter 5:7 NKJV. God does more than care about you; He provides ample care for you. Consider Jesus’ words about His Father’s care for you. “Do not worry, saying, ‘What shall we eat?’ or ‘What shall we drink?’ or ‘What shall we wear?’ For the pagans run after all these things, and your heavenly Father knows that you need them. But seek first His Kingdom and His righteousness, and all these things will be given to you as well.” Read Matthew 6:25-34 NIV. Today, I pray for you to choose for your days to be carefree, fruitful, and fulfilling. Few track and field events are any more exciting than the relay race. Four athletes give their all for their assigned portion of the race, and then pass the baton to the next runner. If the baton is not handed off properly within the allowed space, or is dropped, that team is disqualified. Each runner gives their best effort until coming to where the next runner anxiously awaits. For a few brief steps, they run alongside each other until the baton is safely transferred and then a runner moves aside while the other must continue. One’s portion of the race is completed; another’s is begun. Your life of faith is like that. We each have our assigned portion of race to run, cheered on by those before us, and responsible to those awaiting us. Read 2 Timothy 1:3-6 NIV. The Apostle Paul often used the metaphor of a runner. “If only I may finish the race and complete the task the Lord Jesus has given me – the task of testifying to the gospel of God’s grace.” Acts 20:24 NIV. Read 2 Tim 4:7-8 NIV. And parenting is like that also. This weekend holds a special day when more phone calls are made, more flowers sold, more restaurants crowded, and more greeting cards purchased than any other day of the year – Mother’s Day. My thoughts today are shaped by family events in past months. Our family welcomed two Great Granddaughters, Caroline Renee and Riley Madison. That struggle of birth and the gift of life are fresh in my mind as I write. I marvel as I watched our granddaughters with their helplessly dependent infants. They have counted their joyful sacrifice of self in the time and care given as privilege, not sacrifice. The Bible commands, “Telling the generation to come the praises of the Lord, and His strength and His wonderful works that He has done . . That the generation to come might know them.” Read Psalm 78:1-7 NLT. A mother’s influence is immense, far greater than she may presume during the busy years of mothering. A mother’s life is not lived for herself, but with a vision for the lives of the children and families who will follow her. She does not count herself to have succeeded until her children and their children’s children have prospered. And a mother’s influence is not limited to her lifetime. Moms are always with you even after they are gone. And Moms will always be in the hearts of their family. My Mom is no longer with us, but she is forever in my heart. When she lived, I wanted to be with her; now, I wish I were more like her. Before, I enjoyed her company; now, I remember her character. Before, I enjoyed our conversations; now, I value the clarity of her words and wisdom. Before I admired the faith and values she taught me; now, I treasure the convictions she held steadfastly. For a season, God gives Moms and Dads to us to impart values, example, life experience, character, convictions, priorities, hopes, and faith. Moms know others must run further than she could, while yearning for us to do so with less pain and more pleasure than her own, and with fewer struggles and more victories. Godly generations, behind as well as ahead of you, depend on your doing so. Unless you understand that your brief life is a timeless connection of influence with those generations both before and after you, you may fail to live your life with a similar, Godly influence that is consequential and eternal. Man or woman, young or old, be God’s love wrapped in a human heart, so the Godly impact of your life will stretch well beyond your lifetime, even beyond the lifetimes of those whose lives you touch, “That they may set their hope in God, And not forget the works of God, but keep His commandments.” Psalm 78:7 NKJV. Read 1 Corinthians 9:24-26 NIV. Today, I pray for you to prize a Godly heritage and provide the same to those who follow.